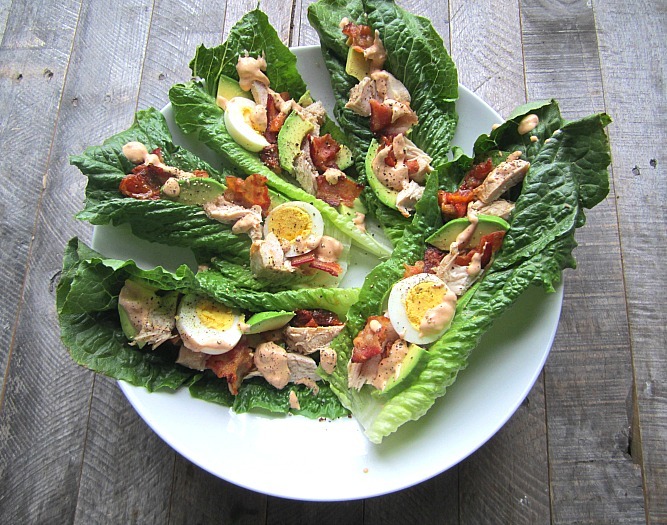 I love a Cobb Salad for lunch. Whenever I see it on a menu, I order one.....the ingredients are simple. 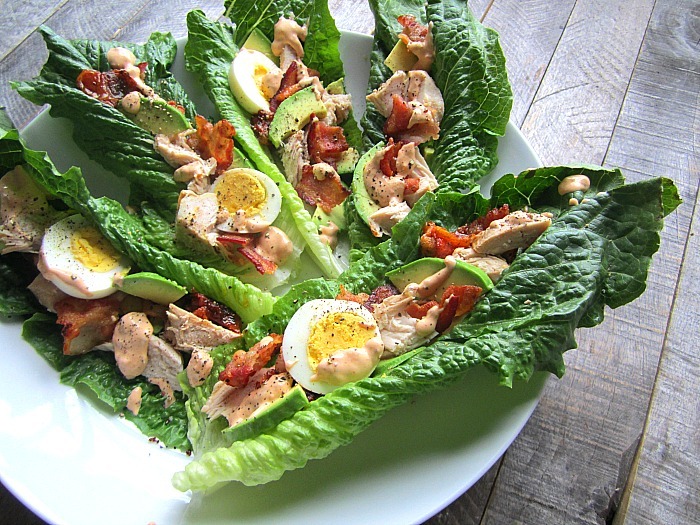 Bacon, chicken, avocado, tomatoes and blue cheese w/ a buttermilk dressing. Yum and yum. I made a roast turkey breast and had leftover the next day, so instead of turkey club sandwiches (which are also my favorite! 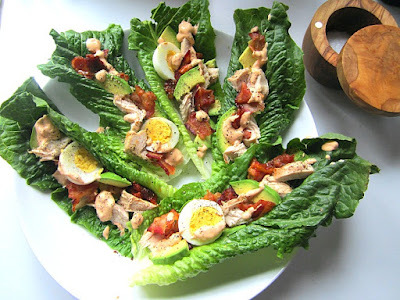 ), I made Cobb Salads in lettuce wraps. Since it's winter, I use oven roasted tomatoes instead of hot house flavorless tomatoes, and since Henry hates stinky cheese, I omitted it, just this once. Whiz dressing ingredients in a food processor and keep cold until ready to serve. Arrange ingredients inside lettuce boats/wraps, layering as much inside the leaves as you can. Arrange on a platter and drizzle w/ dressing. I too, love Cobb salad and this looks like a great variation! I rarely buy buttermilk but happen to have some left over from biscuits I made for a brunch. Thought I was going to have to just pour it out! Thanks ! !